In case you missed it, be sure to check out an editorial that ran in the Charlotte Observer this weekend on the latest developments with North Carolina’s so-called “Innovative School District.” As Policy Watch readers will recall, the ISD is yet another school privatization scheme from legislative conservatives that calls for private operators to take over troubled schools. As readers will also recall, however, the plan has been nothing short of a disaster since its inception and has thus far managed to effect the takeover of only a single school by a single, unqualified contractor. 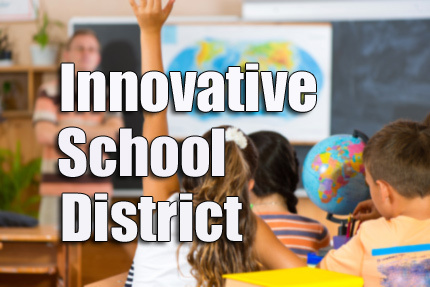 “ISD officials have struggled to find a qualified company to operate the one school initially chosen for takeover — Southside Ashpole Elementary in Robeson County. The operator that’s finally gotten the nod — Charlotte-based Achievement for All Children (AAC) — looks bad in every important way. AAC is only a year old and doesn’t have the long history of success that ISD’s creators had envisioned. Neither does a company that AAC chose as an operating partner, TeamCFA, which has a mixed record of student achievement in 13 N.C. Charter schools. That deficiency appears to violate the 2016 law that requires the operator or its partners to have a record of improving persistently low-performing schools and students. An ISD-commissioned evaluator, SchoolWorks, also found that AAC was deficient in seven of 11 operational criteria, including startup planning, goals and “mission and vision.” In addition, SchoolWorks was alarmingly skeptical about AAC’s funding model. But that may not be the worst part. AAC’s operating partner, TeamCFA, was founded by Oregon’s John Bryan, who contributed generously to N.C. political campaigns and has taken credit for getting the ISD law passed. On AAC’s board is Rob Bryan, the law’s author. At the least, it’s horrible optics. At worst, it appears that North Carolina may have been scammed. The state school board approved AAC in a somewhat contentious 7-4 vote this month, but as part of that approval, AAC must submit a response to SchoolWorks’ concerns. ISD superintendent Eric Hall told the Observer editorial board Friday he expected that response by day’s end. Hall said he’ll review it and report to the state school board. He stressed that the ISD has “significant accountability” in place.